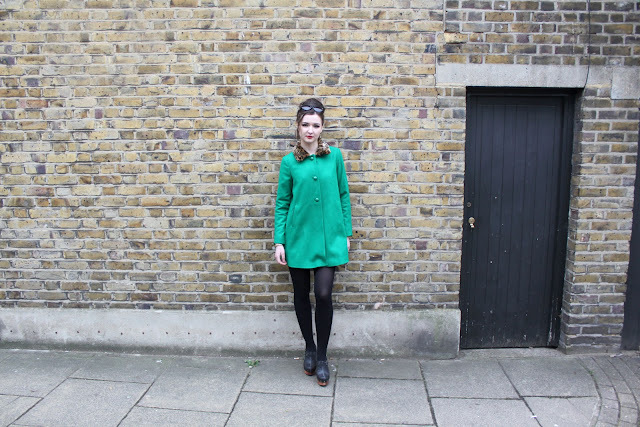 Charlotte (http://charlottehayto.blogspot.com/) and I had our 60's inspired photoshoot today. It's in aid of our photography and styling project for University. We have to end up with three final images, that are put together into an editorial shoot in the style of a particular magazine. It also has to link back to a particular era, of which we picked the 60's. I was, to put it lightly, rather stressed this morning. Not because I was worried it wouldn't go well, just because I wanted everything to come together the way I imagined. It is always hard when you have an idea in mind of exactly how you'd want something like this to look, and when it comes to hair and make-up, we had to put faith in another person's hands, and it paid off. Gemma Court did a wonderful job, it was better than I'd imagined so Charlotte and I were both very happy. 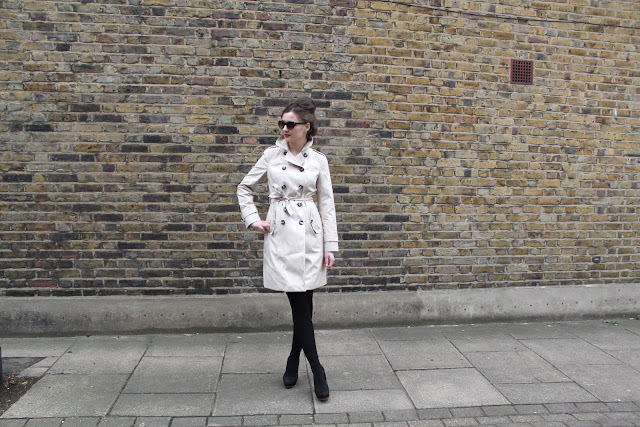 We wanted a small beehive style look, Carey Mulligan-esque in An Education. Not too over the top, but enough that it had a 60's air about it. And the make-up to be kept simplistic and chic. 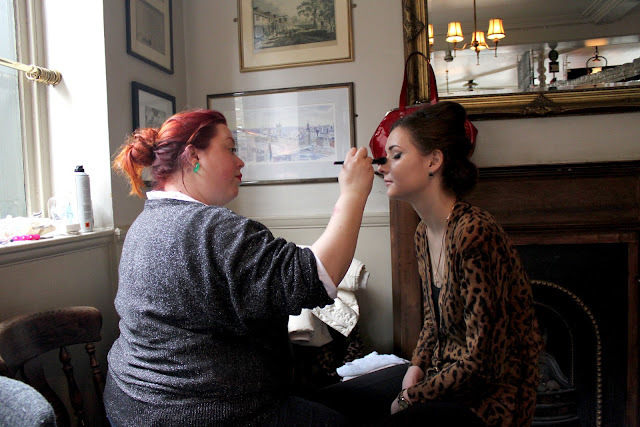 We set up shop in The Kings Arms, to do the hair and make-up and did the shoot on Roupell Street & Theed Street, London. It really is such an amazing location, we have Alyson our lecturer to thank for pointing us in the right direction. It was almost as if we'd suddenly gone back in time and were standing on a road in 60's London. All the doors are bright colours, and just looked so quaint and perfect. Our model Lyudmyla Prykhodko of Beau Belle Models,was fantastic. She was up for any type of look and the style we went for really suited her. I'm not gonna lie, Charlotte and I was slightly envious of her never ending legs and amazing figure. She needed no direction, a pleasure to work with, and we got some really great shots. I've picked my favourites, and Charlotte and I will pick our final three, which once finished will be also posted on my blog as well as Charlotte's. 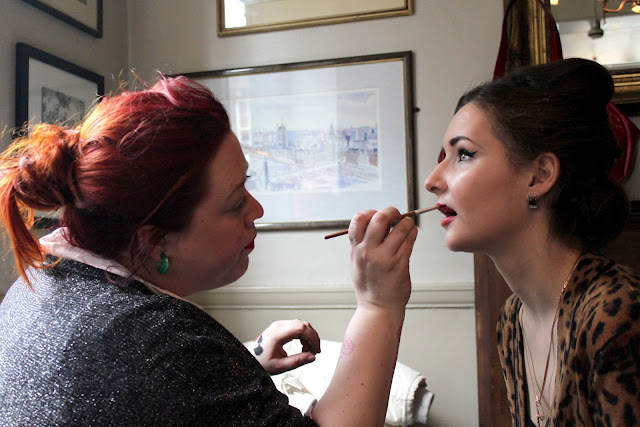 Go check out Charlotte's blog for behind the scenes photographs from todays shoot! Charlotte was the stylist for today's shoot, and I was the photographer.